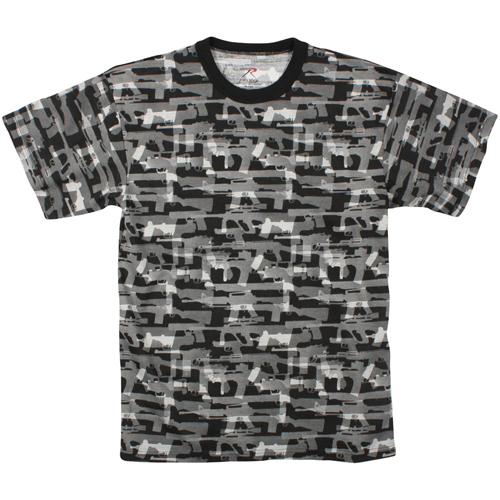 Men’s Black Faded Guns Pattern T-Shirt is made up of cotton and polyester material. These shirts bear tag less labels and are made as per Government specifications. 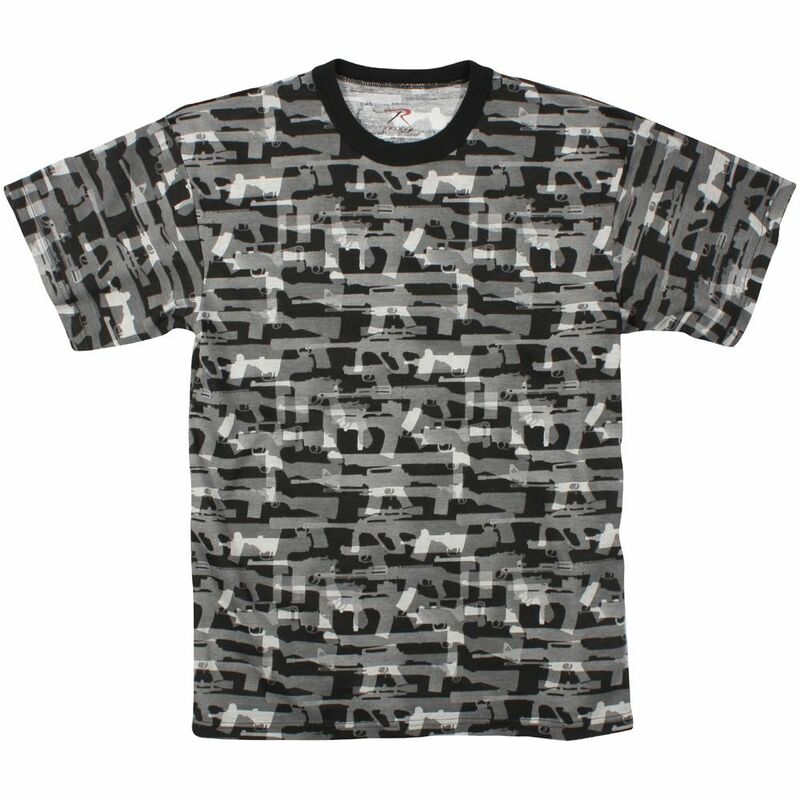 This Vintage black T-shirt having a faded gun print looks cool and classy too and comes with short sleeves making them a perfect casual wear and is very comfortable when worn. These can be a great gift item for those who would truly appreciate this style. There is small white care label stitched on the inside of the lower seam, which gives you clear instruction on how to was and care for this T-shirt.